Before we begin I feel it only fair to make two things clear. Despite having had a driving licence for over a decade, I have never driven abroad or been left in charge of anything more powerful than a Renault Clio. In fact, due to the virtues of Transport for London, it has been nearly four years since I’ve driven on any kind of regular basis. 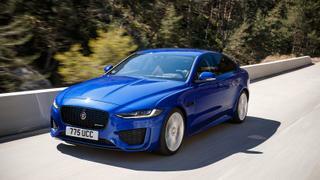 This, admittedly, didn’t make me the obvious candidate when the call came through from Jaguar to test drive its new and improved XE and yet, there I was, packing my bags and stepping on the plane to Nice. As you may have gathered, I did indeed return in one piece so with a general idea of where this review is headed let’s get down to the details. The original XE was launched in 2015 so this new edition is more a mid-season refresh than a completely new model but there’s far more going on here than a mere aesthetic tinkering. The new XE is available in three configurations – a fuel-efficient 180PS diesel and high performance 250PS and 300PS petrol models all of which can also be upgraded to an R-Dynamic option. I was handed the keys to the 250PS R-Dynamic rear wheel drive and, even at first glance, it is clear this is a much sportier vehicle than its predecessor. With this in mind, the brand has set about expanding its design team with hires from the worlds of fine watches, fashion and luxury hotels and now boasts a 50/50 gender split. The effect of this is evident in the slimmed down headlights and widened grille which give the overall impression of a car that is elegant and assertive without being overtly aggressive. Internally the XE has also undergone a major overhaul. Hatton identifies the incorporation of Jaguar’s signature ‘Riva-loop’, a U-shaped flourish running from driver to passenger door along the dashboard inspired by the classic yachts of the 50s and 60s, as of particular note while fine leather upholstery and high quality finishings mean the new XE retains the levels of comfort for which the original was so praised. The XE has also seen a serious improvement in terms of tech with the Touch Pro Duo infotainment system previously only seen in the I-PACE now available, along with wireless device charging and Smart Settings, an AI technology which learns the preferences of individual drivers and automatically adjusts the seat, mirror, audio and climate settings. Of course, this is all well and good, but how does it drive? The 250PS R-Dynamic model I tested was fitted with a 2.0 litre Ingenium engine and eight-speed automatic transmission promising a top speed of 155mph and acceleration from 0-60mph in 6.2 seconds. 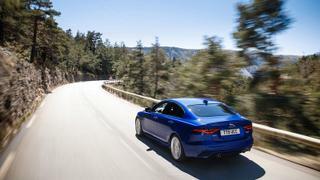 Although I was never in danger of taking the XE anywhere near to testing out these claims, the winding mountainous roads of southern France certainly put it (and me) through our paces. And, frankly, it gets a huge thumbs up from me. The handling is responsive and intuitive while the ride is brilliantly balanced and the automatic gearbox quick and intelligent meaning that, while being almost double the length of anything I’ve driven before, I settled in quickly and never felt overwhelmed. The XE’s redesigned centre console taken from the F-TYPE allows for easy switching between Dynamic, Comfort, Eco and Rain Ice Snow modes while a new steering wheel offers elongated aluminium paddles for manual driving and switches to control all key functions. Further enhancements include head-up display, park assist and a clever ClearSight rear view mirror displaying an uninterrupted stream of the road behind you. It takes some getting used to but you’ll soon wonder how you ever managed without it. Historically, the XE has struggled against competitors such as the BMW 3 Series, Audi A4 and Mercedes C-Class. 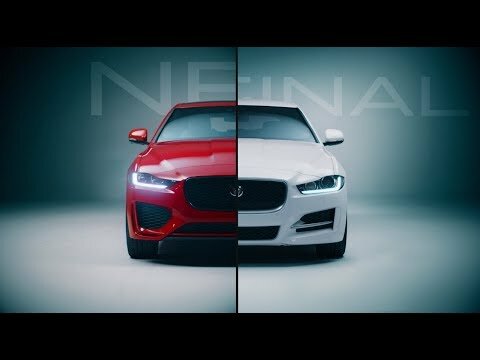 Only time will tell if this handsome and technically outstanding reimagining will be enough to leave its rival behind but, if you ask me, the XE is now more than a worthy adversary.